Maple Grove Developments initiated, assembled, developed and now retain this award winning mixed use development in the heart of Kendal. The scheme comprises 100,000 sq ft of retail and office space and 21 apartments with a new public square and decked car park. The challenging brief was to deliver a range of new buildings and mix of uses on a site affected by changes in levels and its location within the heart of the town’s conservation area. Assembling the site involved negotiating with the owners of over 20 separate parcels of land and took several years. 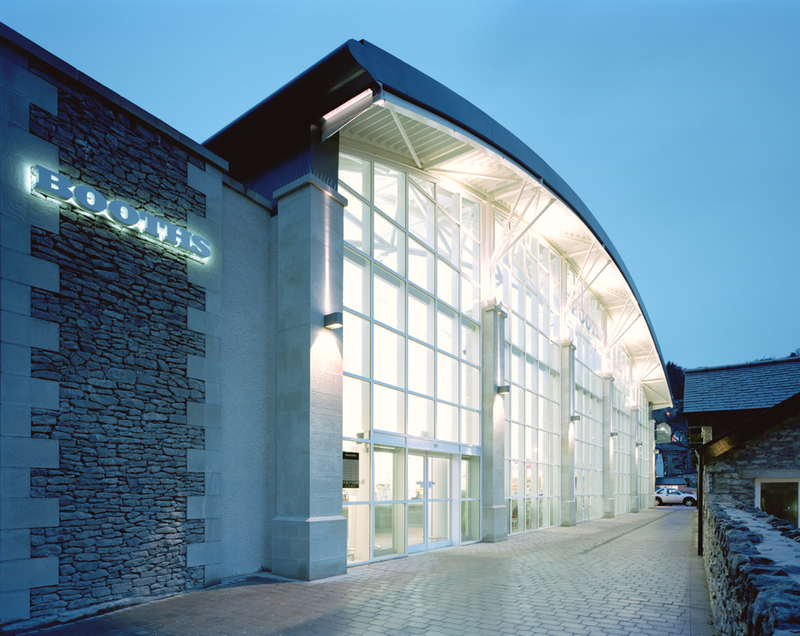 The scheme was based on the re-provision of offices for the Westmorland Gazette, within a more intensive development, and the inclusion of a high quality food retailer, Booths, as the anchor tenant. Value was generated by using land more creatively and the urban design principles agreed with the planning authority and local stakeholders, ensure that the development respected its setting and responded positively to the challenges of the site. Wainwright’s Yard has been recognised by the North West Branch of the RTPI winning the ‘Best Town Centre Development’ and ‘Overall Winner’ Awards in 2006. The scheme is now retained and held in the Eric Wright Group Property Portfolio.